Shopping for new Dodge vehicle? 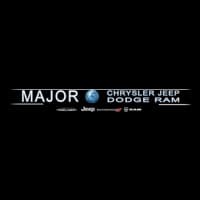 Visit Major World Chrysler Dodge Jeep Ram, a great Dodge dealership Long Island has to offer. Our experts can provide a stress-free shopping experience and can assist with finding the right color, trim options, pricing, and more. Whether you are looking for a Dodge Charger or a family-friendly option like the Dodge Grand Caravan or the Dodge Durango, find a new Dodge for sale near Bayside! White 2019 Dodge Journey SE FWD 4-Speed Automatic VLP 2.4L I4 DOHC 16V Dual VVT Multi Point inspection *, Fully Serviced & White Glove Detailed *. Granite 2019 Dodge Journey SE FWD 4-Speed Automatic VLP 2.4L I4 DOHC 16V Dual VVT Multi Point inspection *, Fully Serviced & White Glove Detailed *. Pitch Black Clearcoat 2019 Dodge Journey SE FWD 4-Speed Automatic VLP 2.4L I4 DOHC 16V Dual VVT Multi Point inspection *, Fully Serviced & White Glove Detailed *. Red Line 2019 Dodge Journey SE FWD 4-Speed Automatic VLP 2.4L I4 DOHC 16V Dual VVT Multi Point inspection *, Fully Serviced & White Glove Detailed *. The Dodge brand has over 100 years of experience building great vehicles, and at Major World Chrysler Dodge Jeep Ram we aim to uphold that legacy with a wide inventory of high-quality Dodge models for the Eastchester and Westbury area. Our finance center can answer any of your questions about pricing and credit worthiness, and help you find a great deal with our rotating Dodge new vehicle specials. Schedule a test drive to compare models side by side, and when you’ve found the Dodge vehicle with the color, trim options, and specs that you like, apply for financing at Major World Chrysler Dodge Jeep Ram!